SHADES 1-5 Our Face Powders creates a light, silky veil, which can be used on bare skin or as a setting powder over makeup for a flawless finish that lasts all day. Oil-absorbing ingredients minimize shine for a long-lasting, clean matte finish while providing sheer, breathable coverage. TRANSLUCENT This exclusive powder is ultra-light, matte and extraordinarily sheer. It applies perfectly on bare skin or over makeup creating a natural radiance while providing a smooth, lasting finish. 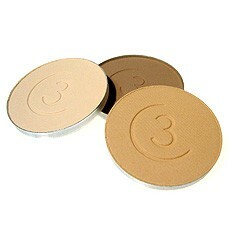 BRONZER Our Bronzers are smooth and silky with a delicate gold shimmer. Available in Cool for rosey-toned skin and Warm for golden-toned skin, these beautiful Bronzers are ideal for creating a healthy, fresh look without the damaging effects of the sun. With a velvety natural finish, Bronzer may be applied for an instantly radiant, year-round glow.